The Luffa Sleeper Playard is the first playard to offer the ultimate Sleep Experience through innovative design and select fabrics. Baby benefits from 360 Degree of open air - above, below and all around. It's 3-in-1 functioning is a tremendous value to parents - the mattress can be positioned as a playard, a bassinet and a stand-alone napping cot. The soft sleeping loft fabric delivers optimal air flow, a comfortable sleeping temperature and moisture venting; the flexible material and design conforms to Baby's shape for a cradling effect. A muslin sleeping sheet offers superior airflow and softness for newborns, and both the loft and muslin fabrics are removable and machine washable. 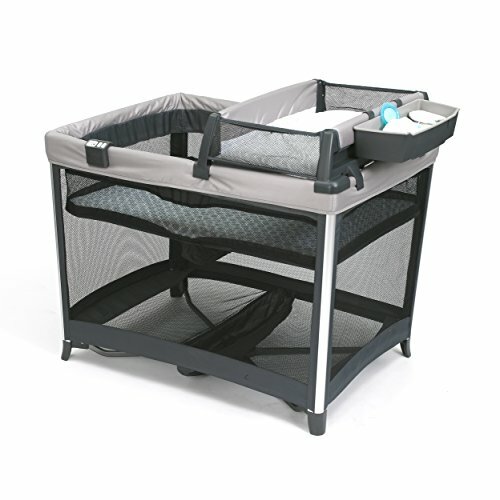 An organizer and changing station provide additional convenience. A portable Sleep Module offers a soothing nightlight and nature sounds - and monitors room temperature - to complete the Sleep Experience. The Luffa Sleeper Playard is lightweight and folds up compactly in a travel bag for families on-the-go. When Baby rests, all is well.